We know that successful cities are designed for people, not cars. These nine basic rules are the playbook for Dallas' future. It is easy to imagine what great cities look like. Picture the romance of walking along the boulevards of Paris, the thrill of jostling through the bustling streets of New York, or the energy that charges the air on a street corner of Tokyo. We can sense the sum of their various parts—feel the richness, vibrancy, vitality, and possibility. But the qualities of great cities—what makes them work—often seem ineffable. There is, however, no mystery to how these cities grew and prospered. The human psyche evolved with cities. Our minds instinctively feel comfortable within carefully prescribed limits of scale and distance that have developed over millennia. What today works in the most successful cities in America and around the world is what has always worked in cities. In the post-exuberance that came with the independence and efficiency provided by the automobile, we threw away the handbook and tried something entirely new. Some of it worked. A lot of it, though, did not work. Cities built for cars work only for cars. Cities built for people—for its residents—work for cars, buses, trollies, streetcars, bikes, and the oldest of all modes of transport, our own two feet. A generational turn toward cities has made them once again the economic engines for the rest of the world. But in North Texas we have forgotten through simple disuse the principles that underlie city-making. These principles are the building blocks that allow cities to create the kind of vibrancy that attracts even more people, thus producing even more vibrancy in an ever-increasing upward spiral of value creation and success. Outstanding figures of contemporary thought about cities—people like Jane Jacobs, William H. Whyte, Kevin Lynch, Jan Gehl, and Jeff Speck—have identified these principles that form the elements of success. The good news is, it’s not rocket science. There are observable, rational reasons that successful cities are so attractive. All we need to do is pay attention to them. The writer William H. Whyte led a small research team in 1970 into the streets of New York City with a simple objective: to observe how people actually used the city. It was a tumultuous time in New York. The 1960s had seen urban renewal projects clear entire neighborhoods of old tenements, replacing them with monolithic apartment blocks. An increasing number of highways were constructed through the city’s boroughs and into Manhattan itself, destroying or dissecting neighborhoods. New skyscrapers, huge civic plazas, and other hallmarks of modernist and postmodern design were remaking the city’s built environment. Poverty was deepening; crime was on the rise. Whyte and his team wanted to know: how did all of this affect the way people used urban space? One of Whyte’s key observations was that the success of urban spaces, the ability for parks, streets, and plazas to attract people and generate urban life, was not design—it was life. “What attracts people most, it would appear, is other people,” Whyte wrote. His team observed children who had access to a perfectly useful park but who instead opted to play in the streets. They saw large plazas designed by well-known architects that sat vacant, while smaller parks with a few benches teemed with life. A trend emerged. Successful urban spaces didn’t dwarf, instruct, ostracize, obstruct, or bewilder people. Rather, successful urban spaces were characterized by a human-centric size and scale that allowed them to function as “sociable spaces”—places for people. “Human scale” is a term that describes spaces in which people feel most comfortable to congregate. Architects and city builders going back to the Renaissance have concerned themselves with the proper proportions of urban spaces. But during the 20th century, because the automobile dominated urban planning, spaces were designed in ways that were large, ostracizing, or dangerous, and they dissuaded people from congregating. Danish architect and urban planner Jan Gehl observes how a shift in priorities resulted in a shift in scale. It is impossible to put a quantitative measurement on what constitutes human scale. Gehl has written that the most comfortable building height for urban pedestrians is between three and six stories. But these proportions can change given the relative density of a district or the kinds and types of its uses and functions. The key point—the one that will come up in all of the subsequent principles—is that healthy cities are designed for people, and their streets, public spaces, and buildings create pleasurable experiences. In her landmark study The Death and Life of Great American Cities, the writer Jane Jacobs observed that healthy neighborhoods attract a diversity of people, for a diversity of reasons, at different times of the day. She called these primary, secondary, and tertiary uses. The primary uses of a neighborhood are the anchor attractions: offices, commercial spaces, factories, residences. These are the jobs and homes that give people a reason to visit or live in a neighborhood. Secondary uses are ancillary businesses that emerge in response to the presence of the primary uses. These can be shops and services that attract customers from the workers who use a neighborhood during the day or that serve the people who live in the neighborhood. Jacobs observed that when city neighborhoods do not offer a multiplicity of uses, they suffer. The example she used was the financial district in Lower Manhattan in the 1950s. The workers who populated lower Manhattan’s streets during the day departed at night. As a result, the neighborhood couldn’t sustain a diversity of secondary businesses, services, and attractions; and at night, the historic heart of one of the biggest cities on the planet was deserted. The good news is, it’s not rocket science. There are observable, rational reasons that successful cities are so attractive. All we need to do is pay attention to them. These challenges were entrenched throughout the latter half of the 20th century, as municipalities, following schools of urban thought that argued that the various functions of a city should be compartmentalized, implemented new zoning that separated use, introduced new highways that forced residents and places of business to be separated by large distances, and promoted new ideas about housing that increased suburban-style, single-family dwelling units as the ideal form of American life. It all contributed to the emptying out of downtowns in most American cities. Without a mixing of primary, secondary, and tertiary uses, however, city neighborhoods can’t survive. When a neighborhood has residences, businesses, entertainment attractions, restaurants, and other shops and services, its streets in the morning might be filled with residents walking dogs or running to get breakfast. In the afternoon, workers mingle with people running errands. When the workers go home for the evening, new people may arrive to hit the bars, grab dinner, or attend an event. The presence of life throughout the day attracts more life, and this activity is necessary to sustain the neighborhood services that make urban neighborhoods livable. In recent years, some developers have reintroduced so-called “mixed-use developments” in an attempt to replicate urbanlike environments in more suburban-style cities. The successes of these efforts have been, well, mixed. Sometimes they help bring much-needed residences into commercial districts, beginning the slow process of creating new urban neighborhoods that have complementary primary, secondary, and tertiary uses. But too often these “mixed-use” developments are simply dressed-up versions of 20th-century development models—strip centers with apartments upstairs—or they don’t offer a true mix of uses. Design alone will not overcome the many obstacles in the way of generating a healthy mix of uses in a city neighborhood. Rather, the reintroduction of multiple uses into districts is most successful when it takes advantage of existing uses, building upon established successes rather than attempting to mimic urban vibrancy with a cookie-cutter solution, as well as when it addresses the other obstacles to urban growth outlined in the following principles. Great cities possess streets that themselves become an attraction—theaters of life that both serve a practical role of moving people in and around a city as well as encourage leisure and greater social interaction. While primary, secondary, and tertiary uses can attract people to urban neighborhoods, unless those neighborhoods are designed with streets that can support and encourage pedestrian life, the neighborhood won’t thrive. How do you create great streets? The architect and planner Kevin Lynch wrote about a simple concept of legibility. People will move along streets that are easy to read, streets that offer incentive and visual cues to spur pedestrians on. Jacobs wrote about the need for short block lengths, which help facilitate the crisscrossing of uses that lend city neighborhoods their sense of vitality. In his book Principles of Urban Structure, Nikos A. Salingaros writes that successful city streets form a web that offers the maximum number of ways to maneuver between different urban “nodes,” or destinations. They must be short enough to allow pedestrians to navigate various paths through the web. They must also be clearly defined so that pedestrians can traverse those paths with ease. 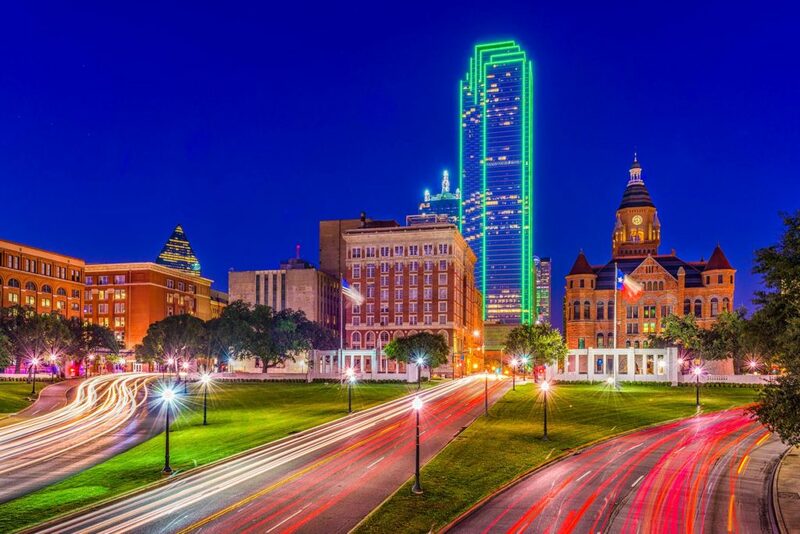 In many U.S. cities, Dallas being a prime example, urban planners and traffic engineers in the 20th century redesigned city streets to prioritize the flow and speed of automobile traffic over people. In the name of decreasing congestion, street corners were rounded to enable faster turns, downtown streets were turned into one-ways to speed the flow of exiting traffic, and new roads were cut through the existing street grid to allow cars to bypass neighborhoods. This had the cumulative effect of making streets more dangerous for pedestrians, while efforts to separate vehicular and pedestrian traffic—for example, by creating underground tunnels—also helped to destroy the vibrancy of city neighborhoods. As Jan Gehl has written, successful city streets do not banish automobiles. Rather, they simply prioritize the needs of pedestrians over automobiles. Walkable streets are streets that have sidewalks with ample width to accommodate multiple people walking side by side. They can be made safer by providing buffers between pedestrians and traffic, whether it be a bike lane, a row of parked cars, or some other means. Walkable streets can blur the distinction between the pedestrian and vehicular realms, for example, by eliminating curbs, thus creating an environment in which pedestrians and drivers have a greater awareness of each other’s presence. They feature narrow lanes, which help slow traffic. They feature short block lengths and a possibility of a variety of paths to navigate to various attractions in a neighborhood. Most important, they are designed to attract people, whose presence helps make streets safer and more vibrant. In the 1930s, architect frank Lloyd Wright predicted that the introduction of new transportation and communication technologies would make the centralization of cities obsolete. The growth of Dallas-Fort Worth after World War II appeared to prove him right. North Texas provided an endless supply of empty farmland upon which a version of the dream of Wright’s Broadacre City—the decentralized city—could be written in concrete. When a new highway was constructed, new communities sprung up out of the empty dirt like magic. The city that had cut its teeth on cotton and come of age with oil discovered a new generator of easy dough: real estate. Dallas’ political and business leadership were well-invested in the model that seemed to produce limitless new economic opportunity. The rules: front doors should exit onto the street; retail spaces should not create separations from the sidewalk; parking lots should not obstruct spaces where people could interact on and with the street. 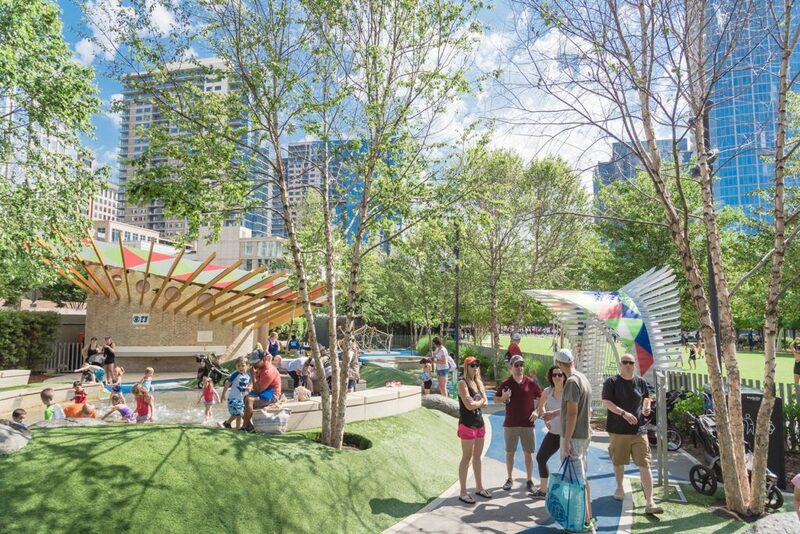 The movement to urban density has flummoxed large parts of the Dallas development community. The old model of isolated development clashes with the need for interplay in an urban setting. When developing new buildings in urban spaces, too often developers do not sufficiently consider the edges of their property, how the property fits within the context of the surrounding neighborhood, or how the property may facilitate and inhibit the flow of people in and around an urban space. In short, often developments fail to contribute to the urban landscape because they fail to address the “spaces in between”—the borders between private properties and public rights of way that contribute to the overall cohesiveness of the urban fabric. Sometimes this failure to consider or engage the broader context of a neighborhood development is obvious. One egregious example is a strip mall that was developed in Dallas across the street from the Crescent. Not only did this project disregard how it could fit its surrounding urban neighborhood by creating a moat of parking that isolated it from the street, but it squandered an opportunity to develop a more valuable urban property on one of the most valued plots of land in the city. Sometimes these failures are subtler, like when an infill development of townhomes doesn’t feature residential doorways that exit directly onto the street or places street-facing two-car garage bays that isolate residents from the street. In successful urban neighborhoods, properties engage the streets and respond to the neighborhood around them. There are some general rules here: front doors should exit onto the street; retail spaces should not create separations from the sidewalk; driveways, parking lots, or garage entries shouldn’t obstruct spaces where people could interact on and with the street. For large developments, loading docks, dumpsters, and other practical necessities should be kept away from edges of the property that directly engage with the rest of the city. Buildings should seek to correspond to other uses in the neighborhood, add sufficient density, match or complement existing architectural style, and facilitate the pedestrian connectivity of the street grid. Many of the principles of good urban design are already reflected in the neighborhoods of older cities. Older city neighborhoods typically feature shorter block lengths, more sensitively scaled buildings, and properties that are suitable for a variety of primary, secondary, and tertiary uses. They were built before cities adopted the superblock-style developments that scraped entire city blocks of older structures in favor of singular, large-scale, often monofunctional developments. Jacobs found that older buildings are more conducive to supporting the kind of multiple functionality that helps promote urban vibrancy. Also, older districts often support greater population density and have more businesses per square foot. 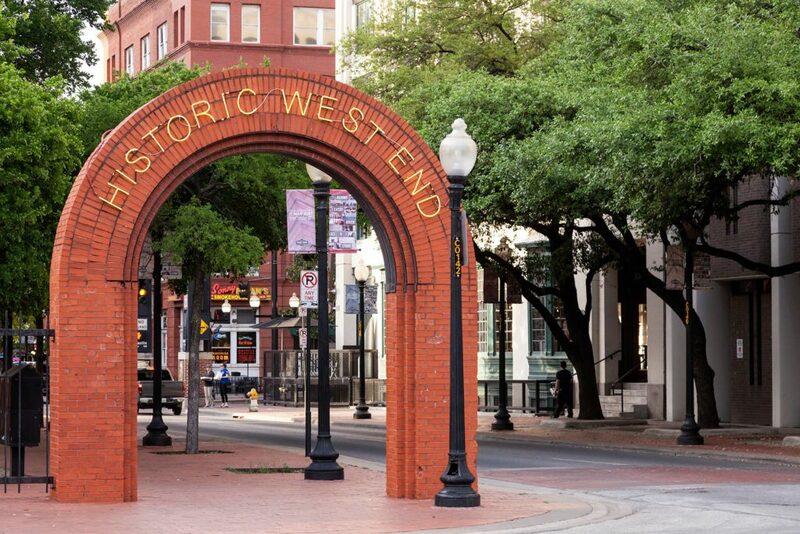 The economic models around adaptive reuse development allow for more local, nonchain businesses, and as a result these neighborhoods tend to attract the creative people who can kick-start urban revitalization. Cities, by definition, feature a concentration of people. The difference between a village, a town, a suburb, and a city is a function of density. Density is essential to producing the qualities that make cities attractive and vital to society. It helps sustain a diversity of economic and social uses within a neighborhood. It allows for the possibility of establishing multimodal transportation connectivity. And yet two of the more prevailing false assumptions of the last century of urban development are that high densities are undesirable, or that density alone can preserve the vitality of urban neighborhoods. These attitudes have contributed to everything from the public subsidization of a shift toward an overwhelming single-family residential housing stock to contemporary NIMBYism and conflicts over the introduction of new urban multifamily developments. But without density, cities won’t work. That said, density itself doesn’t create a successful city. In the last century in New York, neighborhoods of five- or six-story crowded tenements were replaced with huge apartment towers surrounded by grassy moats, all in the name of enhancing residents’ quality of life. The towers went up and so did the population density of the neighborhood, but neighborhood life and identity dried up. Successful cities balance density so that it promotes a diverse and vibrant economic character without detracting from neighborhood quality of life. Placing an exact metric on this is difficult, and appropriate densities are best determined on a case-by-case basis. For example, studies have shown that cities can support public transit if they have at least 4,000 residents per square mile. Other studies have shown that the environmental efficiencies of dense urban environments are maximized when there are about 20 homes per acre. In attempting to create a guideline for addressing this challenge, the Congress for the New Urbanism, a nonprofit that promotes the reurbanization of cities, suggests that urban districts contain and balance a variety of densities. The planning of neighborhoods, districts, and towns should carefully consider their overall structure, encouraging highest densities toward the center, concentrating retail and commercial uses that are complemented by denser housing developments. These kinds of dense hubs can support public transit and better handle the concentration of people and activity, while an overall range of densities, ample public space, and discernible edges may describe the entire district. The corrosive effects of decentralization are not limited to the diluted historic city centers. Sunbelt cities proved effective at hiding the costs of the success of “un-urban urbanization.” In the 1970s and 1980s, Dallas emerged as a model of the kind of economic success government-subsidized suburban sprawl could generate, but the city’s model of growth created its own problems. While residents migrated into the region’s northern suburbs in pursuit of bigger homes and better educational opportunities, those who remained behind struggled with degrading schools, rising crime, and entrenched poverty. By the late 20th century, this pattern of expiration and neglect began to migrate outside of Dallas and into its inner-ring suburbs. The communities that were the first beneficiaries of decentralization were eclipsed by newer and more attractive suburbs. This cycle is one of the peculiar, paradoxical characteristics of the decentralized city. On the one hand, the decentralized city seems to treat neighborhoods like the consumer economy treats commodified goods. Neighborhoods have a shelf life. As they age and their initial appeal fades, they are discarded in favor of newer “neighborhood products.” Unlike neighborhoods in centralized cities, which become more desirable as they mature and stabilize over time, in the decentralized city, older neighborhoods are discarded as a kind of urban consumer waste. But in other ways, the decentralized city doesn’t appear to follow the logic of a consumer market at all. As the more recent tremendous rebound of urban real estate values in walkable cities such as New York and San Francisco attest, the kinds of neighborhoods Jacobs, Whyte, Lynch, and others championed are highly desirable to a great many people. But if there is consumer demand for these kinds of communities, why haven’t developers met that demand by building new urban neighborhoods? This disconnect between the demand for urban spaces and the lack of supply helps illustrate the fact that suburban sprawl is not a deterministic outcome of the invention of the automobile. Rather, it is partly a symptom of a political and economic system that has largely eliminated choice from the marketplace. The solution is to reimagine the sprawling metropolitan region in a new form. Rather than an unbroken stretch of low-density residential development punctuated by shopping centers and office towers, suburban communities should follow the same principles advocated for by the Congress for the New Urbanism to create neighborhoods with varying degrees of appropriate densities that introduce zones of urbanity within the broader web of metropolitan sprawl. It is a vision not of monofunctional urban sprawl in which success rests in the continual migration of economic opportunity into newly accessible greenfield developments, but of a more vibrant and sustainable economic region linked by multiple centers of urban life. 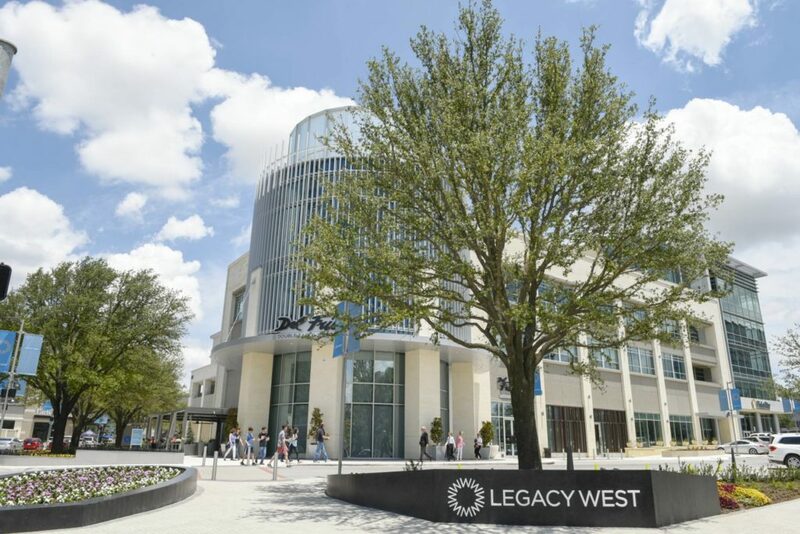 To some extent, this is already occurring in places such as Plano’s Legacy West and Addison Circle, where suburban communities have developed walkable town centers that many people find attractive. It is still common, however, for residents to resist a move toward greater densities and mixed uses within suburban communities, and often the demands of a car-oriented society can have a negative effect on the implementation of such urban enclaves. These fears and mistakes are not inevitable. By following the principles of urbanism, a megaregion like Dallas-Fort Worth could evolve into a more efficient and livable network of interconnected urban nodes that support a variety of housing options. The creation of the car-centric city and sprawling metropolitan region was not an accident or an inevitable result of the introduction of automotive technology. Rather, it was the result of multiple generations of systematic public subsidization of the car-centric urban infrastructure. As discussed before, the renovation of city streets and the city street grid in favor of expediting the transfer of automobiles to and from urban neighborhoods had a devastating effect on the continuity and pedestrian connectivity of cities. Similarly, the policy of extending highways farther and farther into the countryside to promote greenfield development had the cumulative effect of drawing residents and economic vitality outside of urban hubs and promoting decentralization. The car was never the enemy of great cities; giving it absolute supremacy was. Great cities are characterized by transportation choice and their ability to support multiple modes of transportation. The car was never the enemy of great cities; giving it absolute supremacy was. Great cities are characterized by transportation choice and their ability to support multiple modes of transportation. Roads may connect urban town centers and neighborhoods, but there should also be the option of connecting urban neighborhoods and town centers via rail, streetcar, buses, or bike paths. The interior of a city network may contain cars on its streets, but those streets should be designed so that traffic moves slowly and does not obstruct pedestrian movement and the ability to navigate multiple, legible paths through the city grid, or the option of employing bicycles or other forms of transit. Municipal, regional, state, and federal planning metrics continue to divert vast sums of public money to propping up an aging interstate highway system. It is a Sisyphean task. There are increasingly limited funds for maintaining or extending road infrastructure, and attempts to relieve inevitable traffic congestion on these roads inevitably fall prey to the law of induced demand: the creation of more capacity for traffic simply leads to more traffic and congestion. Just as there is a need to shift attitudes and assumptions around issues of density, adaptive reuse, zoning, mixed-use development, and urban-suburban development, there needs to be a shift in the way governments fund transportation infrastructure. This means investing equally in infrastructure that promotes pedestrian, bicycle, public, and, yes, automobile infrastructure. One of the legacies of the history of 20th-century urban development was the creation of a whole mess of municipal codes, established planning assumptions, dogmatic dispositions, financial practices, and public policies that can make it very difficult to develop quality urban neighborhoods. Parking requirements, setback restrictions, street widenings, and standard underwriting practices of financial institutions make it easy and cost-effective to simply replicate the same old monolithic style of formulaic development. Recognizing this, the Congress for the New Urbanism began to draft new municipal codes—what they called “SmartCode”—to help cities adopt ways of allowing for the kinds of development people desired. Architect and planner Andrés Duany, one of the CNU’s founders, explained that the intention of the code is not to restrict any kinds of development or enforce new norms, but rather to allow for more types and diversities of urban development, including the brand of urban neighborhood that most municipal codes prohibit. It is about enabling developers to provide the kinds of urban development that are in high demand, while offering guidelines to ensure that this new development enhances, rather than detracts from, the urban environment. The CNU’s “SmartCode” is a practical example of the kinds of changes that must take place throughout every level of government in the United States to undo the inertia of the last century of urban development. It is a challenge that sheds light on an aspect of urban revitalization that is counterintuitive. We encounter cities through physical and sensual engagement, by seeing, hearing, smelling, and moving through the built environment. We register the pleasure or displeasure of being in a city largely by responding to aspects of urban design. But properly addressing the problems facing cities in the 21st century is not always a matter of implementing solutions rooted in design. Social attitudes, economic incentives, public policies, and entrenched assumptions about what cities should look like and how human life should be organized must all be addressed if we are going to tap the potential in transforming U.S. cities into human-centric, equitable, vibrant, and more possible places.